Leave it to the Brits – in an ultimate act of flippin’ the bird to Simon Cowell and his ilk, real music fans in the United Kingdom have sent the 1963 rock classic “Surfin’ Bird” by the Trashmen to the upper reaches of the U.K. Pop single charts. According to this story in the Los Angeles Times, British music fans wanted to keep the latest assembly-line pop ditty from Cowell’s no-talent TV show “The X Factor” from topping the charts this holiday season so they solicited Facebook friends and like-minded music fans to buy the nearly 50-year-old surf rock classic on iTunes and other places online. Last year, the strategy worked and Rage Against the Machine’s “Killing In The Name” was the season’s top seller. This year, however, “Surfin’ Bird” could only muster a No. 3 spot, behind “X-Factor” winner Matt Cardle (at No. 1) and Rihanna (at No. 2). “Austin City Limits” rings in the New Year on Saturday with a performance from power-pop group Cheap Trick. Certainly not your typical “ACL” act, the rockers taped the episode back in March while they were in Austin to perform at the big SXSW festival. “Austin City Limits” is currently in its 36th season on PBS. Check your local listings for dates and times. The driver sped on down the road to nearby Oak Hill, where he asked for help at a gas station. 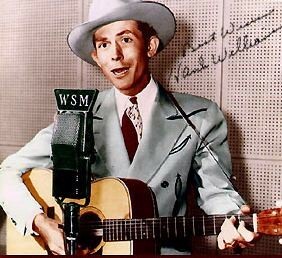 A few minutes later, doctors in the town’s hospital pronounced country singer Hank Williams dead. Hank Williams Sr., also known as Luke the Drifter, Hank 1, Hank Sr. or just plain Hank, is perhaps one of the greatest singer/songwriters of all time. The songs he recorded in his short career – many of which he wrote – are part of the foundation of American popular culture and have been remade countless times by country, rock, gospel and blues artists. To this day, Hank Williams is still reverentially remembered by many in Nashville. At the time of his death, Williams was being driven to a New Year’s Day concert date in Canton, Ohio. He began the final journey of his life in Knoxville, Tennessee, when foggy conditions grounded his flight to Ohio. Charles Carr, a college student, was hired to be the driver. Before leaving the hotel in Knoxville, Williams apparently injected himself with painkillers and vitamin B-12 and Carr enlisted the help of hotel porters to literally carry the singer out to his car. Many people believe the singer may have already been dead at this point. After driving nearly 300 miles through much of the night, Carr wheeled into the parking lot of the Skyline Drive-In and he noticed the singer’s coat had slipped off his skinny shoulders. 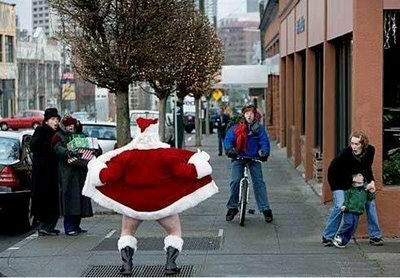 When he went to adjust the coat, Carr realized something was seriously wrong. Hank Williams’ mother went to Oak Hill to claim the body and make the final arrangements for the singer’s final journey home to Montgomery, Alabama, where he is buried. Many of the details surrounding Hank Williams’ death have melted away into legend. There are mysteries, of course – like what happened to some of the singer’s possessions that he carried in his car? People in Oak Hill bragged years later that they had Williams’ cowboy hat, or his guitar, or his boots. Apparently some of this stuff, including Williams’ pearl-handled .45 pistol, disappeared while his car was being stored at the gas station. One story goes that the station’s manager at the time was later seen wearing Williams’ cowboy hat. When a deputy sheriff went to retrieve the hat, the gas station manager said it was given to him by Williams’ mother. Later, however, the guy told people the hat was cursed because his hair started falling out. Some years went by, and the guy committed suicide behind the gas station. Upon his death Hank Williams received an outpouring of love, contrasting sharply with the hard-luck misery that characterized the final year of his life. He was kicked out of his house by his wife Audrey and he was fired from the Grand Ole Opry for failing to appear at Opry-organized gigs. In fact, he was so unreliable at this point that Williams could only book beer halls in Louisiana and Texas; when he died Williams had been booked for four shows in two days. Hank was in horrible health, and his physical problems were only made worse by a bogus doctor he hired to give him dangerous drugs. Hank Williams only helped his legendary status by dying young. He always did have this eerie timing: his last hit while he was alive was “I’ll Never Get Out Of This World Alive” and the song he was writing the night he died was “Then Came That Fateful Day.” He set the blueprint for songwriting, a deeply personal style mimicked by giants like John Lennon and Bob Dylan, and became an icon of American music. The passing of R&B singer/songwriter Teena Marie on the day after Christmas (and, recently, Captain Beefheart) got us to thinking about these rock and roll tragedies, and how many of them happen during the holiday season. Otis Redding’s plane crashed in December 1967, while John Lennon was gunned down in December 1980. 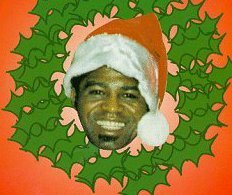 James Brown passed on Christmas Day 2006, Beach Boy Dennis Wilson drowned a few days before New Year’s 1984 and guitarist Randy California of Spirit disappeared in a California riptide on the day after New Year’s 1997. A word here about Teena Marie: she burst onto the scene in the late 1970s as a teenaged protege of funkster Rick James, and until she appeared with him on a 1979 episode of “Soul Train,” many listeners thought she was black. Teena Marie was a white act signed to Motown Records, and her music combined rock and R&B to make her an influence on present-day acts like Rihanna and Beyonce. 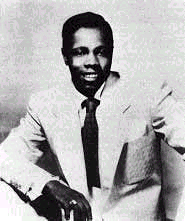 OK, let’s turn back the clock a bit to the 1950s and take a look at another R&B great – Johnny Ace. Originally from Memphis, this preacher’s son originally played in a band that had B.B. King as its guitarist. 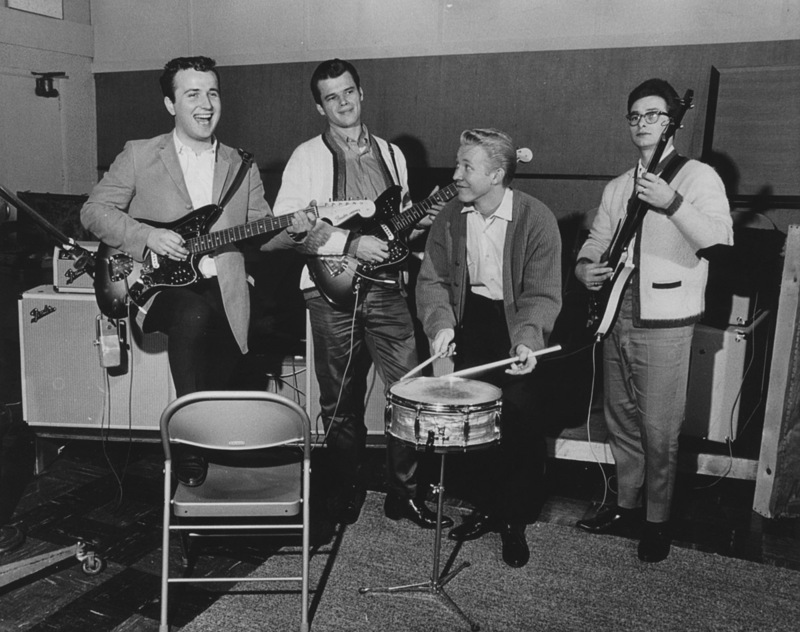 When King left, Ace took over the band and in 1952 Johnny Ace and the Beale Streeters became one of the first acts to record for the fledgling Duke Records. Radio loved this guy, and so did concert audiences – usually on a bill with Big Mama Thornton or Duke label mate Bobby “Blue” Bland, Johnny Ace was quite a big star in 1954. It was Christmas 1954, and Johnny Ace was about to play a gig in Houston’s City Auditorium. Backstage, he was fooling around with a pistol and scaring other musicians by waving it around carelessly. When somebody told him to be careful, Ace laughed and said “It’s okay, it isn’t loaded.” He put the gun to his head and pulled the trigger – you can guess the rest. Some reports say Ace was playing Russian roulette, but eyewitnesses confirmed the first version of the story. After his funeral in Memphis the day after New Year’s, Johnny Ace had a monster posthumous hit with “Pledging My Love,” cut in Houston with Johnny Otis earlier in 1954. Fueled by morbid interest in the singer’s untimely death (he was only 25), “Pledging” rocketed to No. 1 on the R&B charts and stayed there for 10 weeks, and on the pop charts it broke into the Top 20. In the year after Ace’s death Robey continued to raid the vault and Johnny Ace scored a handful more hits before receding into the mists of legend. He was remembered most famously by Paul Simon in 1983, who wrote and sang “The Late Great Johnny Ace,” which also made reference to the murder of John Lennon. Simon first performed the song in 1981 during the Simon & Garfunkel reunion in New York’s Central Park. Near the end of the performance an audience member rushed the stage, causing Simon to pull away from the microphone. As security yanked the guy away he yelled to Simon, “I gotta talk to you, I gotta talk to you.” Visibly shaken, Simon continued the song but it was a scary moment as seen on video. Then I realized, that was the first time in about two weeks of this holiday season that I had even given a passing thought to President Obama. Or any president or politician, for that matter. Yes, I understand that presidents and politicians make decisions that affect our lives; and I apologize to those who are thinking right now that I’m just a vapid little rock and roll lightweight. But the truth of the matter is, I don’t think about this stuff too much unless I am getting a regular dose of Fox News Channel, or CNN, or any of the others. They gotta talk about something to stay on the air for 24 hours and I guess presidents and politicians are good subjects for that. Everybody on TV has an opinion, but I don’t have to listen to all of them. So I suppose what I am saying is, celebrate the New Year by putting CNN and Fox on mute, forget about the president for a day or two and count your blessings. 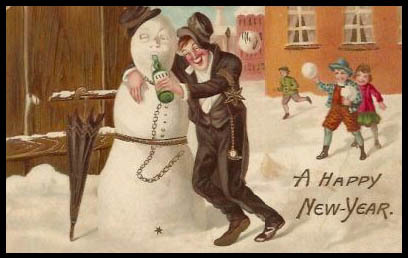 We’re gonna start a new decade in a day or so, and I’m sure it’s going to be as weird and challenging as the last one. We’ll be here, taking ‘er easy for you and helping you rock out! Only two mixtape-making days until Christmas! We’re here for all your last-minute music needs! If you can tear yourself away from work (or, more likely, the office Christmas party) for a few minutes, we have an announcement to make. Because you have all been such good and helpful readers this year, and as a little thank-you for helping us reach 1 million readers earlier this month, we have a Christmas gift for you. Actually, it’s a handful of Christmas gifts: free music! OK, we know what you’re saying, but … this is LEGAL free music provided to you by outlets that may or may not be more legitimate than us. Usually you have to fork over an e-mail address in return, but it’s still free. And there are some legitimately big artists here. Don’t thank us, it’s just our way of saying we appreciate you. “Discoverer,” a new song from R.E.M. You are currently browsing the 30 Days Out blog archives for December, 2010.